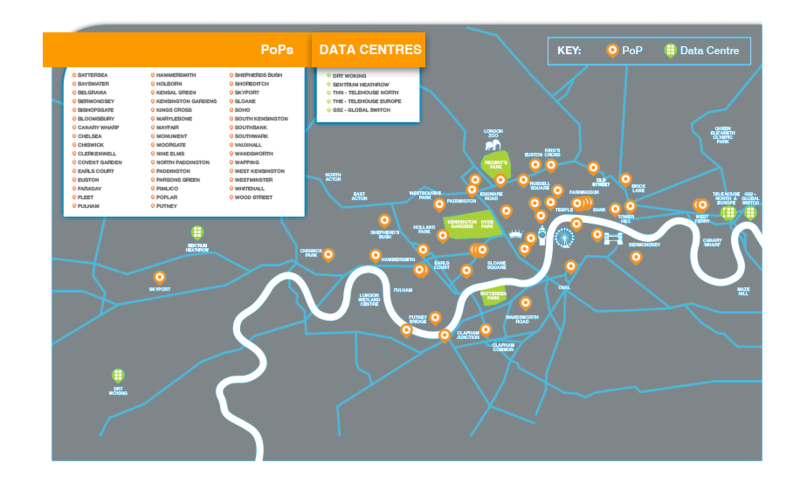 London Leased Line – Sequential Has London Covered! The Most Competitive Fixed Leased Line pricing with over HALF A MILLION On-Net Premises. Sequential Networks London leased line solution provides you with your own high capacity, low latency network which is connected to leading UC, SIP and Cloud solutions. Working with Sequential you can have your own Leased Line and completely unify, high-speed fibre internet, trustworthy, communications for your business. We access UK wide state-of-the-art infrastructure, a resilient dark fibre network, to give your business the very best internet connectivity and communications performance. With our ethernet technology, your London Leased Line gives your business significant cost reductions. Choose your own configurations, MPLS and Internet Access options through one supplier. Access EFM, EoFTTC, Broadband FTTC and ADSL, choose the option which works best for you, with Sequential Networks. Global IP traffic is forecast to increase threefold over the next 5 years. 1GB download speeds are no longer enough for many businesses. If you work with or transmit, large volumes of data, graphics or video, have many employees or seasonal peaks, you will need a 10GB fibre leased line to stay competitive. Sequential Networks cover your complete IT and Telecommunications requirements, from an Internet Leased Line, UC, SIP, Cloud and VoIP to your choice of Ethernet technology. Your complete technology infrastructure can be unified with one, reliable, cutting-edge provider. I consent to Sequential Networks collecting my data, via this form and I understand I will be sent information about the service I am enquiring about." Larger than average phone dependency, bandwidth hungry, demand for content management. Downloading/uploading large graphics files. You need VoIP and voice services. You need guaranteed, faster repair and install. Your data needs maximum security and availability. A data circuit which is high use for website traffic and multi-site use. You have a growth in broadband usage. Bandwidth and latency hungry. You require file sharing, voice and PBX services. You need guaranteed and faster repair. Data Security, latency, resilience and constant availability. Requirements for VoIP and SIP voice technologies. Dedicated links for internet or fibre. You need plans with increased resilience and security, low latency, not just for HFT, and separate points of entry and exchanges. Your business is bandwidth and latency hungry. You download/upload large graphics files and need file and document sharing. Voice, data and data circuits. You have expected growth in voice usage and planned use of the Cloud. Your business is latency hungry, needs automated field-force management and integrated supply chain management communications. You need reliable, fast, and secure, data and communications services.